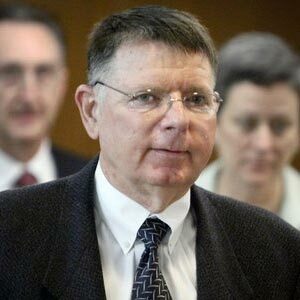 Yesterday morning (June 2, 2009), abortionist George Tiller was aborted as he walked into his church. Someone decided to take the law into their own hands and abort him for what he has done to thousands of innocent little baby boys and girls. Stand True does not believe in aborting abortionists and denounces this violent act (as does Good Fight Ministries). Answering the violence of abortion with more violence will not serve the babies or help the pro-life movement in any way. We are praying for the family of George Tiller and those in his church while he was shot. We know that healing can come through Jesus and pray those involved in the abortion industry will turn to Christ. I am sure some of you are trying to figure out why I would be so insensitive as to use the term "aborted" when referring to the murder of George Tiller. I wonder if those who think I am being insensitive are also people who would be mad when I use the term "murdered" when talking about babies who are aborted? In all reality I am being very sensitive to the abortion industry by saying he was aborted, since that is the term they like to use to describe the taking of a life. While this may sound very sarcastic, I am truly saddened by yesterday’s events. However I am also saddened that yesterday 4,000 babies were also murdered. I am saddened that today 4,000 babies will be murdered. I am saddened that tomorrow 4,000 babies will be murdered. I am saddened that the news media will not be reporting on the horrific fate of those 4,000 innocent babies who are just as human as, and deserving of the same protection as, George Tiller. I am saddened that the police, who so diligently searched for and apprehended the man who aborted George Tiller, are the same police who protect the men and women who abort little baby boys and girls. I listened to commentators talking on the news about how we need to "tone down" our rhetoric to avoid violence. What they refuse to see is that our rhetoric is crying out against violence, the violence of child killing. We are the ones who are trying to bring an end to violence and 4,000 murders a day. I have seen what happens in the past when an abortionist is aborted. The pro-life movement seems to shy away from action. I have seen people drop out of the movement and back away from getting involved. If anything, we need to step up our fight against violence and the killing of human persons. What yesterday showed us is that hearts have been hardened to life, and we must shine the light of Christ and Hope into this dark world even brighter then ever. I urge all of you who believe in the sanctity of human life to stay focused. Do not let this despicable act of cowardice sway you from standing up and being a voice for the babies. I know things will be tough, as people will judge us just for being associated with pro-life. We must reiterate that the abortion of George Tiller was not a pro-life act, just as the murder of 4,000 children a day are not pro-life acts. As for using the term "aborted" when referring to the death of George Tiller. I will stop using that term when the pro-abortion industry starts calling abortion "homicide", which is what it is. I am simply using their own term to describe the taking of a human life; they should have no problem with it.